HCM City (VNA) - Foreign investment is needed to address the capital shortage in the production of textile and garment materials in Vietnam. In fact, to meet the demand for clothes and ancillary materials for outsourcing enterprises by 2025, Vietnam needs some 22 billion USD invested in textiles and dyeing. Textiles and garment is Vietnam’s third largest export sector, with turnover reaching 28 billion USD last year. However, the country has not been proactive in obtaining raw materials. As a result, to reach its export turnover, the textiles and garment sector consumed 8.9 billion sq.m. of cloth, of which domestic factories were able to produce only 2.8 billion sq.m., while six billion sq.m. of cloth was imported, worth 17 billion USD. According to Nguyen Van Tuan, Chairman of the Vietnam Cotton and Spinning Association (VCOSA), apart from financial potential, foreign textile corporations also have a lot of experience in developing a synchronous production chain of textiles, fiber, weaving, dyeing and design. This would be an opportunity for Vietnamese garment enterprises to access and learn technologies and strategies for long-term development, he said. 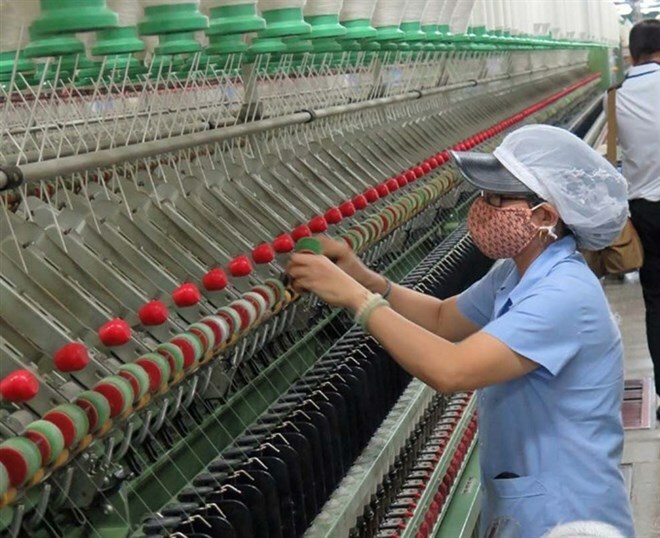 Pham Xuan Hong, Chairman of the HCM City Association of Garment Textile Embroidery-Knitting (Agtek), said the country’s participation in free trade agreements (FTAs) had contributed to the development of both the commercial value and internal strength of the Vietnamese textile and garment industry. In terms of foreign investors, Sunny Huang, executive director of New Wide Group, said Vietnam has a lot of potential to attract textile and garment investment. Besides an abundant labour force and low cost of living, Vietnam also has infrastructure and transport network advantages, and the electricity and water supplies are better than in some other countries in the region, he added. However, many argue that in the long run, Vietnam’s textile and garment industry should not just attract foreign investors, but should also focus on high quality human resource training for the industry’s development. According to Nguyen Hong Giang, Director of Sao Viet Consulting JSC, associations, enterprises and training institutions should work closely for the development of professional criteria and skills for the textile and garment industry in general, and for weaving and dyeing in particular.